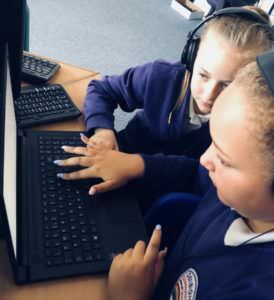 The Computing curriculum at Denbigh aims to equip our children with a foundation of skills, knowledge and understanding of computing that they will need for the rest of their lives. Through a variety of learning experiences from both Teachers and experts from the Computing field, they learn how computers and computer systems work, they design and build programs and machines, develop their ideas using technology and create a range of content. Through this the children develop a knowledge of computing language and how this impacts on Society equipping them with the tools to be good digital citizens.